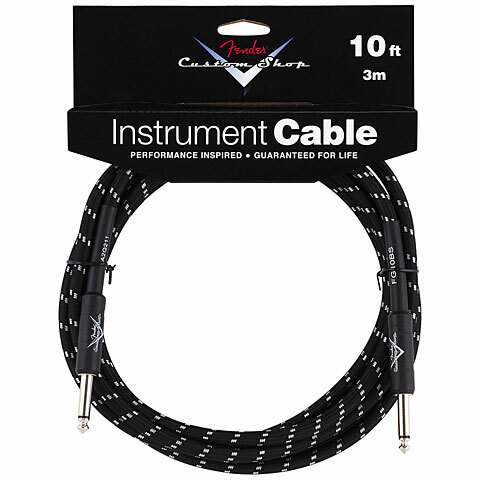 Black/white textile covered Instrument cable from the Fender Custom Shop. 3 meter/ 10 ft. cable with two straight 1/4" Mono Jack plugs. This item was given an average rating of 4.8 out of 5 stars. No review about this product has been written yet. 12 ratings exist without a text or these reviews are written in another language.